I’m not going to announce every update of every comic I ever do on this site, but the launch of a new one was worth commemorating. It’s Saffron and Sage, and it updates every Tuesday now. Check it out! 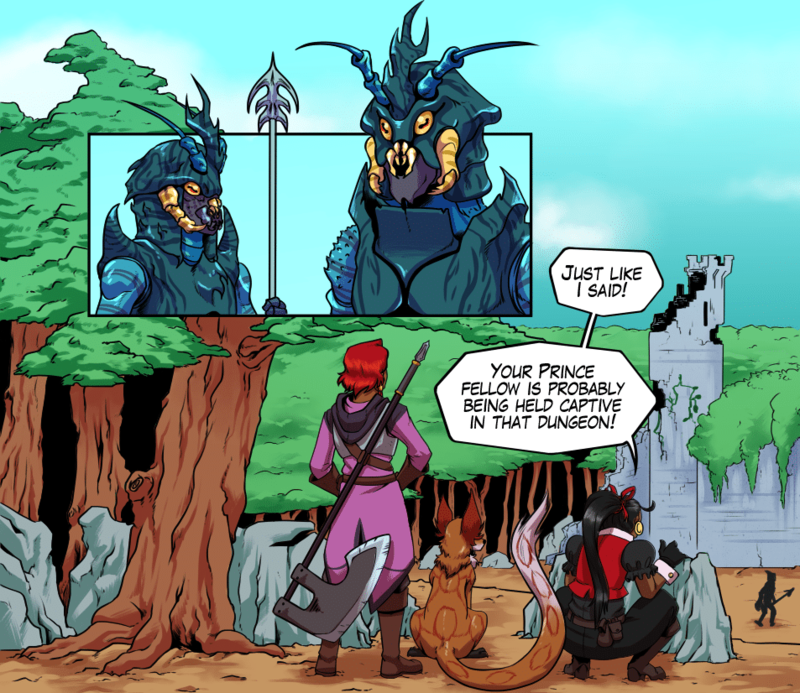 Saffron and Sage is is comedy/action comic about a group of adventurers trying to rescue a kidnapped Prince while learning valuable life lessons. It updates Tuesdays! Daniel Kelly appeared one day in the country that invented freedom, America, and has been blogging about webcomics since 2013, and making them since 2014. He appreciates professional wrestling on a level that veers in and out of irony. He has opinions on webcomics, and also writes Legend of the Hare. Sabu comes from the Land Down Under and has yet to die from venomous creatures. She enjoys drawing dinosaurs and cowboys, so much so that she also has a comic containing both. When she isn’t drawing, Sabu likes eating her weight in sushi at sushi train, and gaming. She also makes a webcomic, Rex Rangers, and can be followed on the tumblrs here. Flats for the comic are done by Threnody JG!, when she’s not busy making Comicide. She’s been known to tumbl, and also to tweet.